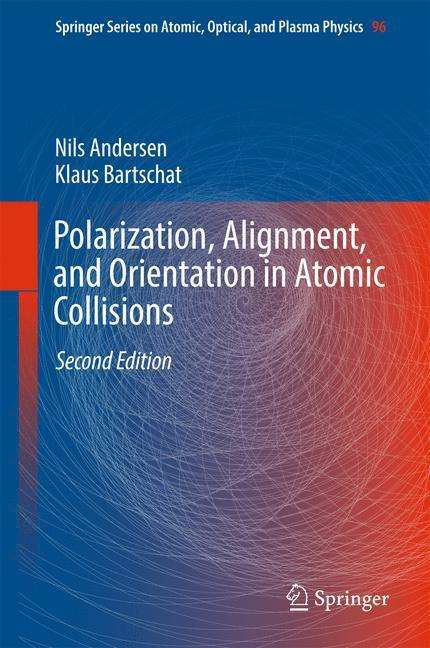 Der Artikel Nils Andersen: Polarization, Alignment, and Orientation in Atomic Collisions wurde in den Warenkorb gelegt. This book covers polarization, alignment, and orientation effects in atomic collisions induced by electron, heavy particle, or photon impact. The first part of the book presents introductory chapters on light and particle polarization, experimental and computational methods, and the density matrix and state multipole formalism. Examples and exercises are included. The second part of the book deals with case studies of electron impact and heavy particle excitation, electron transfer, impact ionization, and autoionization. A separate chapter on photo-induced processes by new-generation light sources has been added. The last chapter discusses related topics and applications. Part III includes examples of charge clouds and introductory summaries of selected seminal papers of tutorial value from the early history of the field (1925 - 1975). The book is a significant update to the previous (first) edition, particularly in experimental and computational methods, the inclusion of key results obtained during the past 15 years, and the extended coverage of photo-induced processes. It is intended as an introductory text for both experimental and theoretical students and researchers. It can be used as a textbook for graduate courses, as a primary source for special topics and seminar courses, and as a standard reference. The book is accompanied by electronically available copies of the full text of the key papers in Part III, as well as animations of theoretically predicted electron charge clouds and currents for some of the cases discussed in Part II.